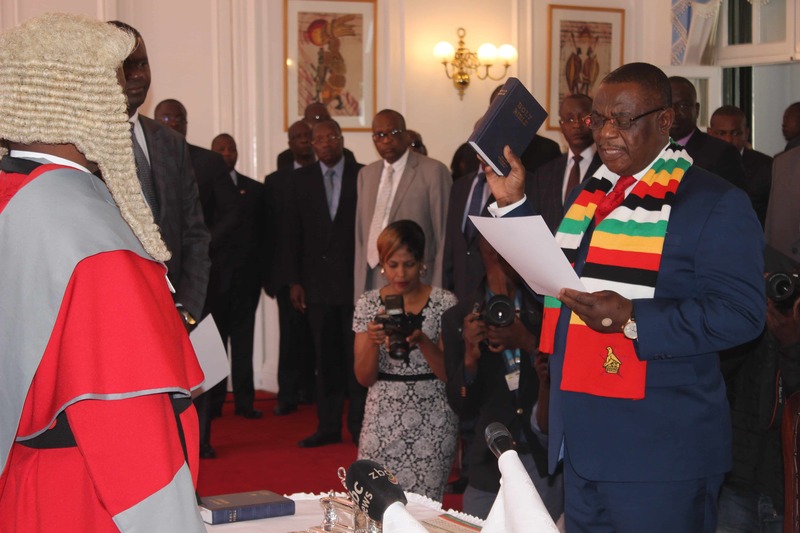 Chief Justice Luke Malaba today swore in Constantino Chiwenga and Kembo Mohadi as the country’s two Vice Presidents for the next five years at a function held at the State House this morning. They were both accompanied by their spouses and later held a photo session with President Emmerson Mnangagwa, CJ Malaba and family members. 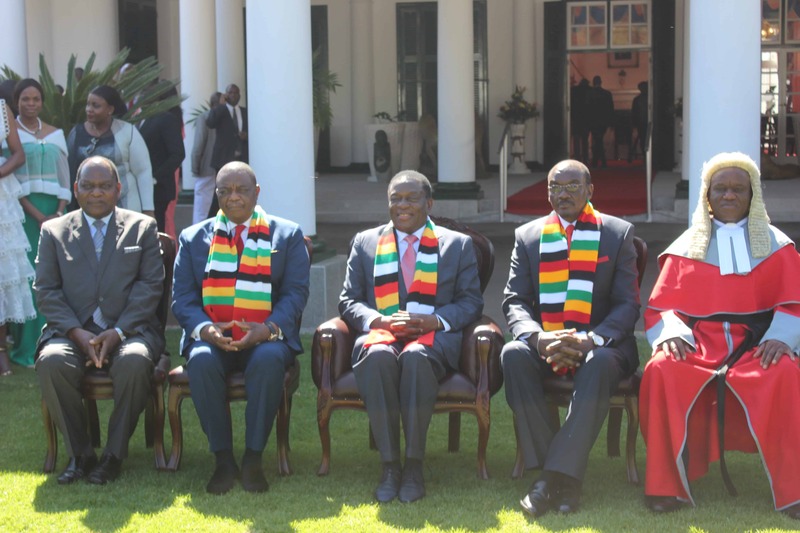 Both Chiwenga and Mohadi had served in the same position when Mnangagwa became president last November and were both widely tipped to retain their positions.